You can order replacement copies of OMN here. Please be specific about year and issue your requesting. 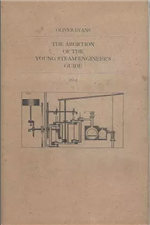 Abortion of The Young Steam Engineer’s Guide. By Vierling. A history of Fischer Windmill w/drawings of its machinery and mechanism. Also contains a glossary of windmill terminology, 124 ppg. Grist and Flour Mills In Ontario. Describes U.S. patent history, especially as it pertains to windmill improvements between 1793 and 1950. Compiled by T. Lindsay baker as a T.I.M.S. publication in 2004. 120 pages. $16.00. A rare 1883 handbood of 163 pages prepared by the Leffel Co., that contains power tables and specs; provides locations of 10,000 mills of the world with Leffel turbines. By Haines. A collection of information and photographs designed for a researcher or enthusiast interested in mills and their communities. Both volumes on one CD. Ball and Hockensmith provide a comprehensive study of millstone manufacturers, along with historical data and patent information. 223ppg w/diagrams. 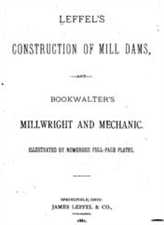 This is a reprint of B.W.Dedrick’s 1924 book detailing all aspects of milling. 575 pages, hardcover. Best overall American reference book. A thorough description of water power equipment and usage in Canada’s western-most province. Discusses devices not seen elsewhere. Many photos and sketches. All interwoven with a history of the area. By Owens. Contains 50 ppg of pen and ink sketches of windmills from around the world. Each has its own brief story, so the book is informative in addition to being a "coloring book." By Pulling & Leeds. A selection of 235 beautiful images of windmills and the towns that surround them. By Powell. A reprint of a 1910 classic that describes how to build and run windmills, complete with diagrams. By Lombardo. An oversize book documenting windmills in both text and photographs. glossary, 260 ppg.